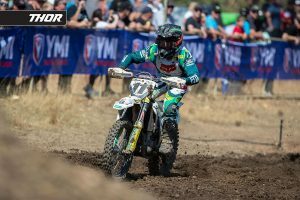 Last week’s 2018 FIM International Six Days Enduro (ISDE) in Chile proved to be an incredible one for Team Australia, with the nation experiencing triumphs in a number of categories. In this edition of Q&A, we answer questions on the country’s ISDE campaign! Q: How did Team Australia fare in this year’s edition? A: Incredibly well! The World Trophy squad consisting of Daniel Milner (KTM Enduro Racing Team), Daniel Sanders (Husqvarna Enduro Racing Team), Josh Strang (Husqvarna) and Lyndon Snodgrass (KTM Enduro Racing Team) dominated the division, while the Women’s team put in a replicated performance. Our youthful Junior World Trophy team was strong too, finishing up fifth thanks to Fraser Higlett (Husqvarna Enduro Racing Team), Andrew Wilksch (Sherco) and Thomas Mason (KTM). Q: How many times has the Women’s team captured the crown? A: A remarkable feat, Australian’s female squad captured the World Women’s Trophy for the sixth-consecutive year! 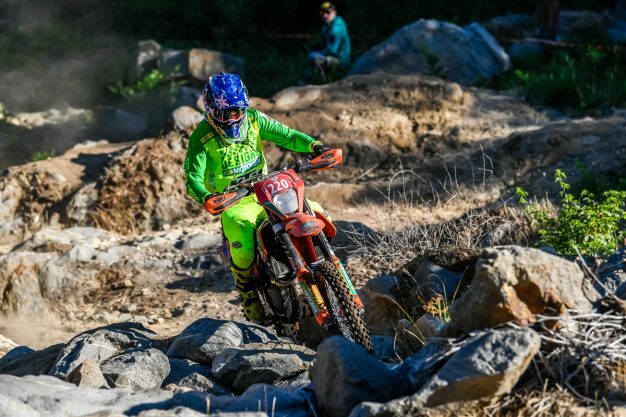 Once again fielding a highly-talented entry, the team was led by Tayla Jones (Husqvarna) – who dominated proceedings – along with Mackenzie Tricker (KTM) and Jessica Gardiner (Yamaha). Six-straight victories also marks a new record in the ISDE history books. Q: Were there any hiccups along the way? A: As with any form of motorcycle racing, nothing ever goes smoothly, but it went as smoothly as it could for Team Australia. The senior team suffered a scare when a rare mechanical pushed Snodgrass out of the competition from day two, which ultimately meant every result counted and there was zero room for error. They handled it with class though to come out on top. Q: Did anyone go well in the individual standings? A: Absolutely! 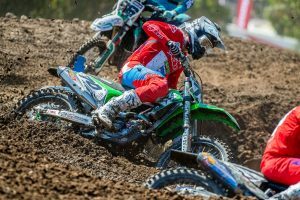 Milner put on an incredible display to earn the outright victory in the individual standings along with the E3 class win, while his regular sparring partner Sanders was third outright and second in E3. Jones smashed the individual Women’s leaderboard to seal outright victory for the second time in her career. Strang was fourth in E2, as junior duo Wilksch and Mason were 15th and 16th respectively in E3. Higlett was an impressive ninth in E1, as Gardiner and Tricker wound up fourth and ninth in the Women’s standings. 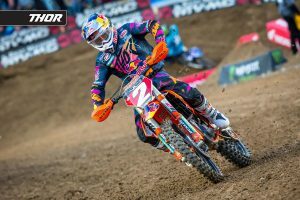 Q: What does this mean for the Australian enduro and off-road scene? A: With two out of three Trophy victories, it means the Australian enduro and off-road scene is in good shape. 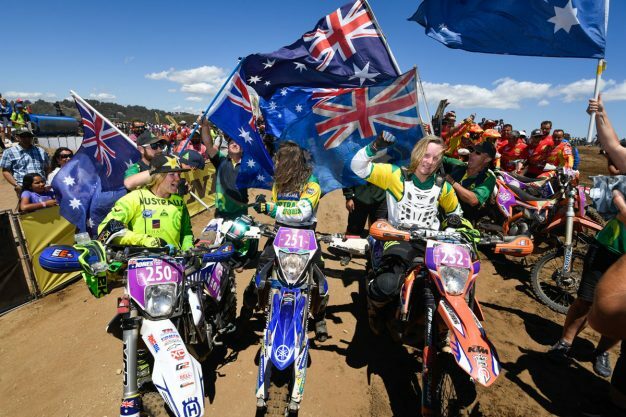 Majority of our nation’s ISDE entrants are regular contenders in the Australian Off-Road Championship (AORC), which indicates the series producing world-class riders and grooming the future stars of the sport. It’s overwhelmingly positive!